Paper Pumpkin is a fun thing! 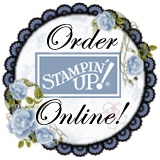 Imagine receiving a box each month not knowing what to expect other than STAMPIN! In my world, that's a perfect thing. As you open the box, you feel like you are opening a gift as you pull back the layers of tissue paper to reveal the content. First you see the stamp set, next at least one stampin spot, then the wrapped paper supplies. The first thing you see is a photo of ALL the completed projects. Ok, back to December's Paper Pumpkin Calendar. What do you think? Look how cute this packaging is... Um, I guess that implies I'll give it away as a gift. Ummm... I like it! This Paper Pumpkin we only stamped the adhesive backed rectangle at the top of each month. Have you ever had a road trip coming up and you knew you would have some free time. Did you think 'Oh, it would be a smart idea to bring a project.' Then as the day nears, you think it takes quite a bit of work to prepare a To Go/Carry On type bag? Well... Paper Pumpkin would be a great thing to have. It's ALL Inclusive! Imagine having 2 boxes on your closet shelf, grabbing them right before a trip and WhaLa, you are set! You can get one month to try it out. After enjoying your monthly little orange box, you can enjoy a discount by ordering a 3, 6 or 12 month subscription. Note: you can always pause your subscription if needed. Below are links to my store if you would like to give it a try!